Ballpoint pen artwork for front and back cover 12″ vynil pressing of original 1970s recordings by Formerly Fat Harry. Shagrat Records. London 2008. Cover image ideas are based on a visual translation of a riff with repeating elements in a free form spin. Some of the visual elements hint at strolling bands and carnival spirits. 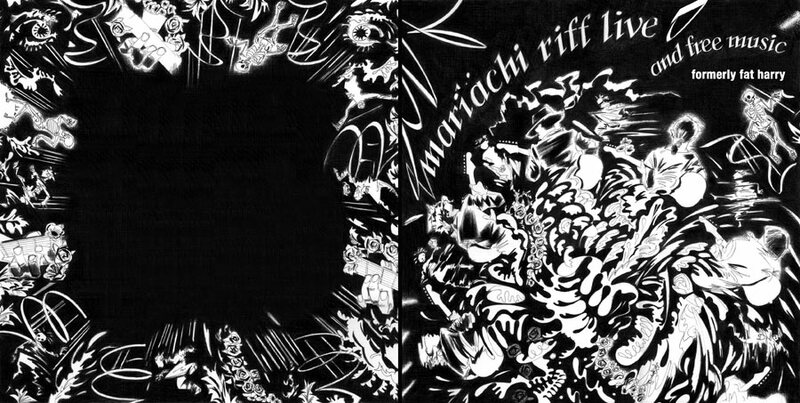 The back cover border images echo cover elements arranged as though in a passing parade.